How can you not be excited for new Colourpop products, am I right? Colourpop is an amazing makeup brand, probably best known for their Ultra Matte Liquid lipsticks. It has grown a huge following in the last few years, due to their high quality products, beautiful packaging and affordable price range. I was very excited to hear that they have come out with new eyebrow products. On March 10th, they released their new line of Brow Pencils and Brow Colours. Their brow products come in 8 different shades, ranging from blonde to jet black, meaning that you most likely will be able to find a color match for you. This is huge, considering many brow products have about three shades that are supposed to magically match our natural eyebrow color. What really caught my eye is their Red Head color. This is the first time that I have seen a ginger-friendly brow pencil that looks natural and doesn't look brick red. The Brow Colours have a creme-gel formula and is best used with a firm, synthetic angled brush. Their Brow Pencils have a micro-sized tip, which is perfect for precision and thin, natural strokes. Both formulas are water-resistant, so don't worry about your eyebrows coming off in the pool! 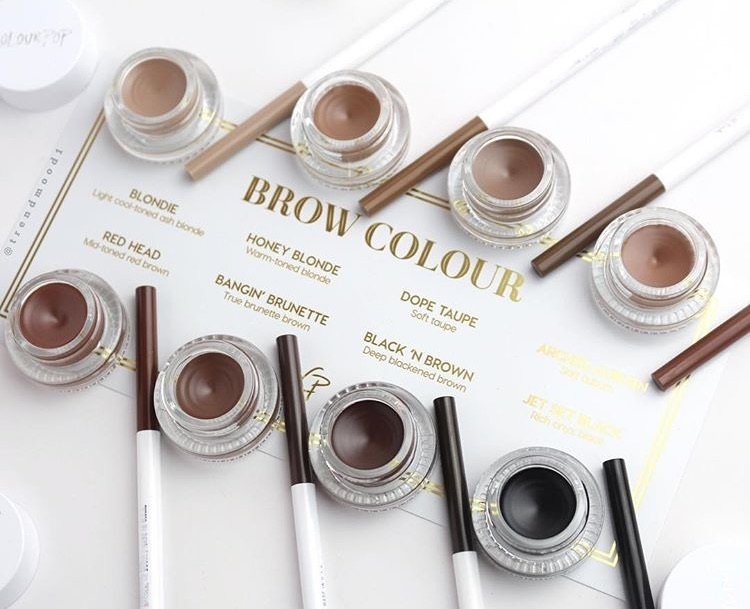 As far as the price range, the brow pencils retail for $5 and the brow colours retail for $6. Comparing to other brow pencils, you can't beat this price. You can purchase these here. I wish they shipped internationally as these look amazing! :) Great post. © Miss Beauty Glam . All rights reserved.